Put the eggs in a large saucepan with water to cover by 2 inches. Add 1 tablespoon of salt and bring to a rolling boil over high heat. Immediately remove the pan from the heat, cover and let stand for 10 minutes. Pour off the hot water and fill the saucepan with cold water. Gently crack the eggs in the water to loosen the shells. Shell the eggs. Cut a very thin slice from the bottom of each egg so the eggs will stand up. Slice off the top third of each egg and scoop the yolks into a coarse strainer; reserve the whites. Press the egg yolks through the strainer into a bowl. Blend in the mayonnaise, cream, sugar and vinegar. Season with salt. Using a teaspoon or a pastry bag fitted with a star tip, generously fill the egg whites. Arrange the eggs on a plate, sprinkle with the chives and chervil and serve. 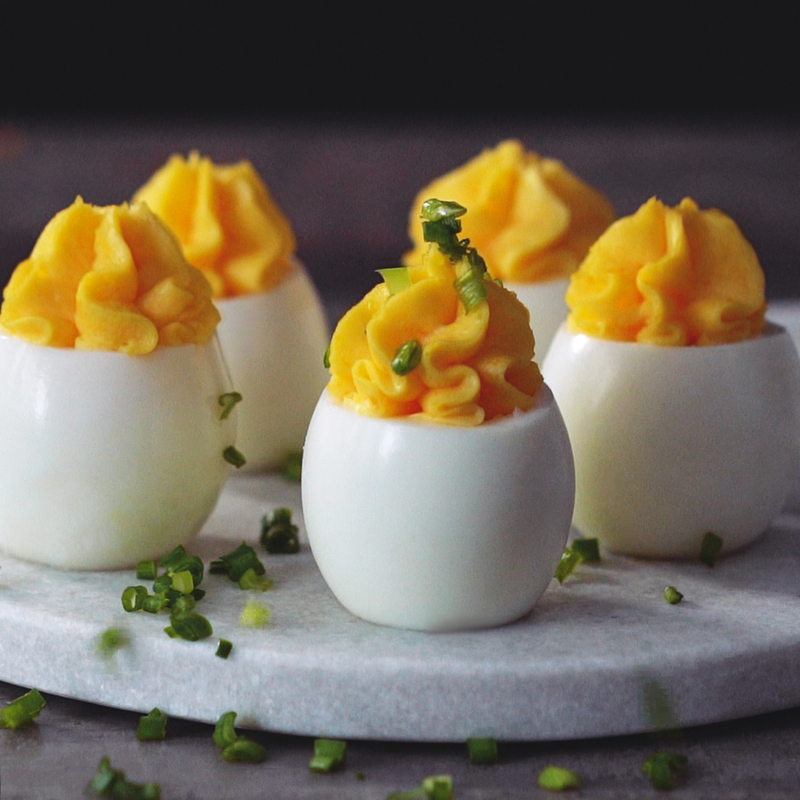 The stuffed eggs can be refrigerated for up to 4 hours. Sprinkle with herbs just before serving.